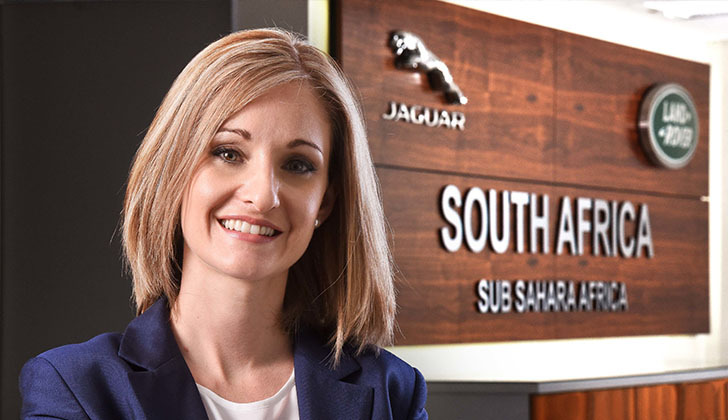 South Africa - Lisa Mallett, the Marketing Director of Jaguar Land Rover South Africa and sub-Sahara Africa, was recently recognised as a regional winner at the Africa's Most Influential Women in Business and Government awards, presented in conjunction with CEO Global magazine. Mallett was honoured as a winner in the Automotive and Components category, which represents the automotive industry of which she has been a part since 2006. She has extensive experience in the premium automotive segment, including Lexus, and has been the Marketing Director at Jaguar Land Rover South Africa and sub-Sahara Africa since March 2015. In her current capacity, Mallett has overseen the successful market introductions of several Jaguar Land Rover models, including the Land Rover Discovery Sport as well as the All-New Jaguar F-PACE – the sports car maker's first-ever SUV. "To say that I'm humbled by this is an understatement. I've grown tremendously at Jaguar Land Rover, and this is the highlight of my career, so far," said Mallett. "Awards like this help highlight that it's entirely possible for female leaders to be successful in South Africa's male-dominated motor industry." The awards cover 23 economic sectors, and honour influential female leaders in Africa's private and public sectors. For the past sixteen years the awards have independently recognised those leaders who are at the pinnacle of their industry. The nomination process is open for all individuals, with nominees suggested by the business community - with more than 5 000 names submitted across all categories. "Nominees undergo a rigorous multi-tiered judging process," says Annelize Wepener, Chief Executive of CEO Global. "Quality assurance is provided by KPMG throughout the judging and the highest possible standard is maintained. Those individuals whom have been recognised as winners in their field can be assured that they have truly excelled."